Here is our family’s favorite meal: Bean Burritos. I’m so glad my Austrian-born kids and husband like Mexican food as much as I do! We make these pretty much every week. Bean Burritos are so fresh and flavorful and deep-down satisfying. Not to mention that this is a great vegetarian meal. 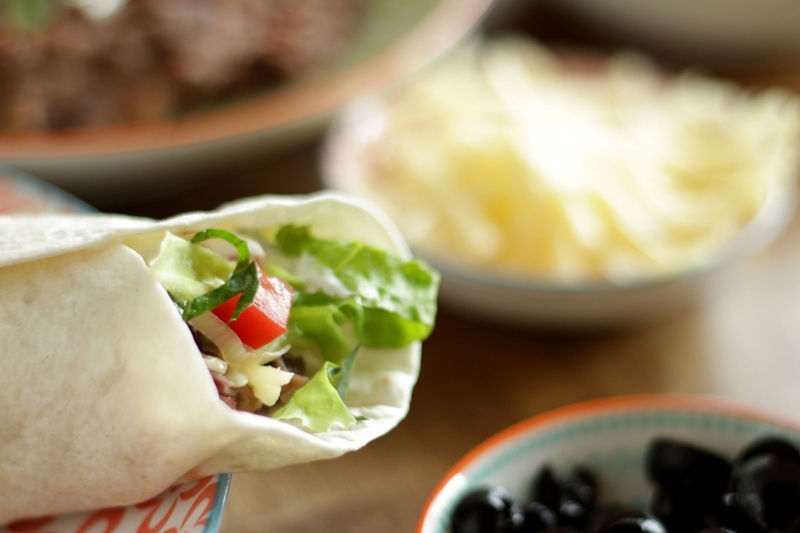 There are a lot of components to burritos but everything is very simple and quick to make Happily, we can get all the ingredients at most supermarkets here. 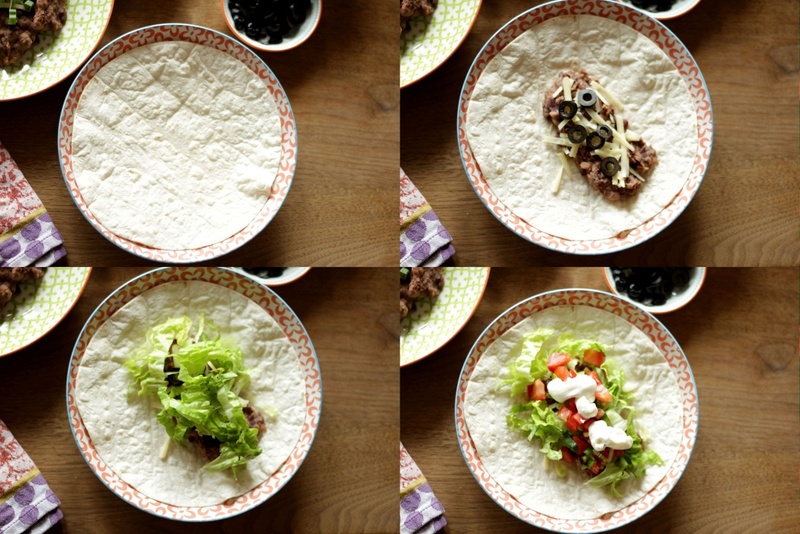 Bean Burritos are perfect for a crowd as each person can build their own custom burrito according to what they prefer. 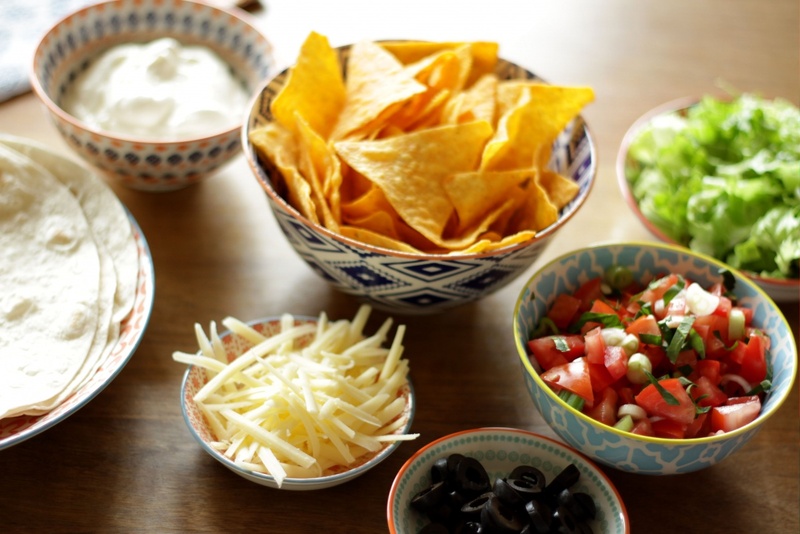 It’s also a lot of fun dipping tortilla chips into the Pico de Gallo, sour cream and Guacamole. So yummy! All in all a delicious, crowd-pleasing, sociable meal! 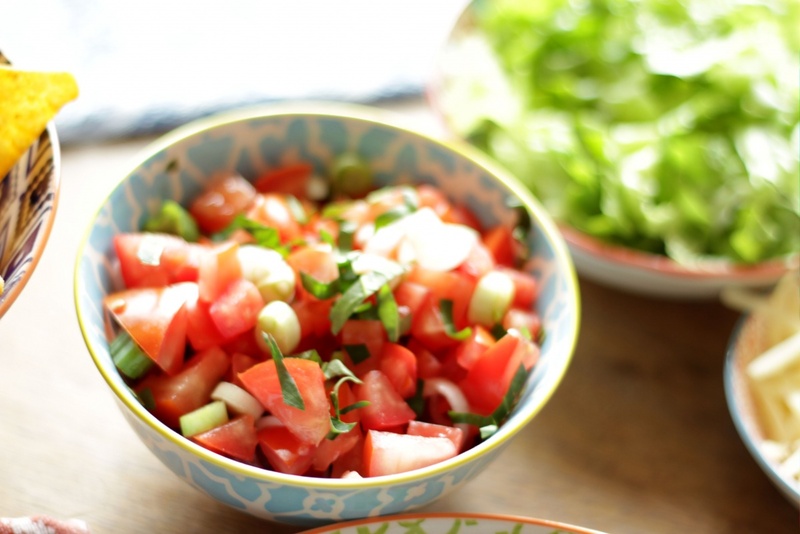 Prepare Pico de Gallo, set aside. 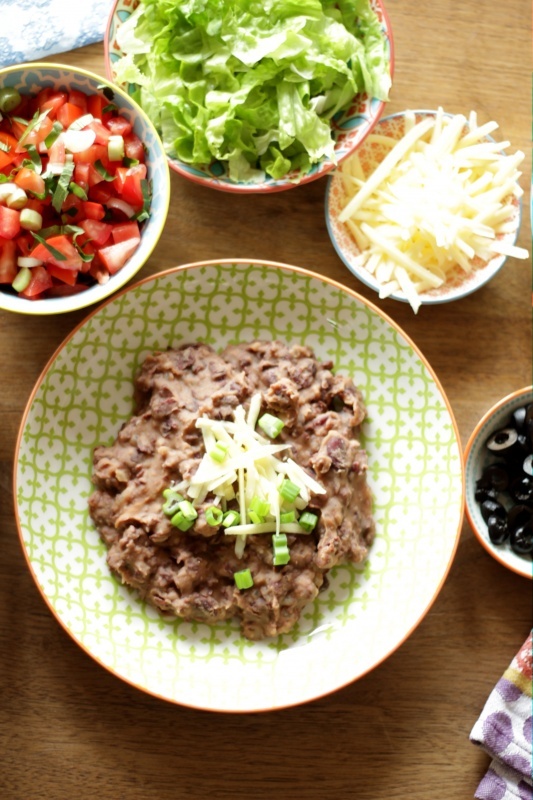 While Refried Beans are simmering, prepare your fixings. Slice olives if necessary, grate cheese, wash and cut lettuce and stir the sour cream. Just before serving, warm tortillas in the microwave for a few seconds. To assemble burritos, scoop beans onto center of tortilla. Add cheese, Pico de Gallo and toppings as desired. Wrap burrito by first folding in the bottom (to catch the drips) and then folding in the sides as tightly as you can. Enjoy! Drain and rinse beans. In a medium saucepan, heat oil to medium-high. Add onions and cook for about 4 minutes until softened but not browned. Reduce heat to medium. Add crushed garlic, chili powder and cumin and cook and stir for another minute. Add beans, salt and water. Stir and bring to a boil over high heat. Once boiling, reduce heat to a simmer and mash beans with a potato masher, leaving some beans whole. Simmer uncovered, stirring frequently, until desired consistency is reached. Add more water to thin if necessary. Salt to taste.